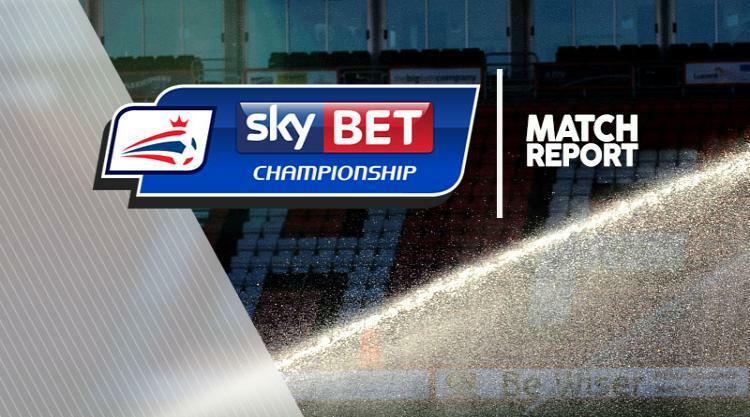 Michael Kightly scored his third goal in three games as Burton moved four points clear of the Sky Bet Championship relegation zone with a 2-1 win over play-off chasing Norwich. Kightly's delightful lob from just outside the area proved decisive, with his strike coming minutes after Cameron Jerome had contentiously levelled for the Canaries, cancelling out Cauley Woodrow's first-half opener. Loan signings Woodrow and Kightly were the goalscorers in Burton's last game at the Pirelli Stadium against Wolves - also a 2-1 win - and this latest offering snapped Norwich's six-match unbeaten run. It was a victory that Albion deserved for another hard working performance to leave Norwich seven points adrift of sixth-placed Sheffield Wednesday. Steven Whittaker's last-gasp challenge denied Jackson Irvine from close range as Burton made an enterprising start while at the other end Jerome curled just wide. Woodrow made the breakthrough in the 25th minute, providing a simple finish after good work by fellow Fulham loanee Lasse Vigen Christensen. The Danish midfielder chased down what looked like a lost cause when Tom Naylor hoisted a long ball up the wing and with only John Ruddy to beat, Christensen laid a simple ball into the path of Woodrow to net for the second home game in a row. The visitors were on the front foot for the remainder of the first half but it was not until six minutes after the interval that they equalised. Jerome's 51st-minute equaliser owed a lot to good fortune when he diverted Whittaker's wildly wayward shot into the net with Burton adamant that it was the outstretched arm of the experienced striker that got the vital touch. Albion were only behind for four minutes before Kightly struck his third in three games for the Brewers since joining on transfer deadline day on loan from Burnley. Woodrow sent Kightly on his way towards goal and an outstanding first touch from the winger took him past Russell Martin before he beat the advancing Ruddy with a superb 20-yard chipped effort. Substitute Lloyd Dyer squandered a chance to give Albion the breathing space of a two-goal lead when he fired over with seven minutes remaining after industrious work on the right from fellow substitute Luke Varney, making his home debut for the club. Late pressure from Norwich inevitably came and they could feel aggrieved that they were denied a penalty at the death when substitute Wes Hoolahan seemed to be barged over in the box. Referee Lee Probert saw nothing untoward and a third league victory of 2017 was secured for Burton.